Xiom Vega Euro -A TT rubber for the upper beginner area. This area corresponds to all players who are still searching for an ideal technique, who need support by medium-soft rubbers during the active forward-oriented game, or who like the soft feeling! 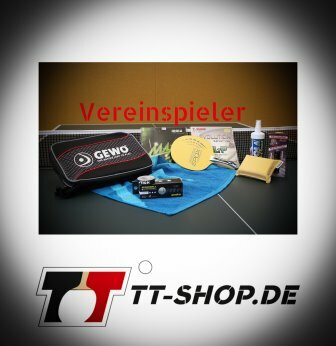 The speed characteristic of the Vega Europe table tennis rubber is medium. Hence, this rubber is not too fast, but also not too slow. For this reason, the Europe is very suitable for ambitious youth players, but also for adults who prefer a forward-oriented game whilst simultaneously relying on much control for every single stroke they do. Compared to highly soft tensors, the catapult effect of this rubber is also medium. The main advantage of the Xiom Vega Europe is its good control whilst still exhibiting sufficient speed. This is very important for becoming very active yourself. The trajectory of balls is neither really high, nor really flat. This characteristic significantly corresponds to the sponge hardness: This rubber does not forgive all mistakes, but some. It provides good control. Another huge advantage of this TT rubber are openers. Spinny, long, and safe topspins are real fun! Furthermore, blocks are very easy to play. This is because the catapult effect, and the delayed feedback (due to a deeper penetration of the ball into the rubber) induce a little bonus. There are, however, small deficits considering hard strokes. These are easier, and more effective using the Xiom Vega Pro. Going back to positive aspects, the Xiom Vega Euro behaves in a very controlled manner when receiving serves. At the same time, this table tennis rubber has much potential for flips. In general, the Vega Europe provides many possibilities to further develop certain techniques, and to correct easy mistakes. Although this rubber does not do this by itself, the Europe offers all necessary properties so that the ball does not "go off the rails" as soon as you do small mistakes. 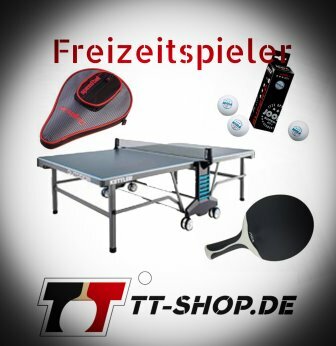 If you are searching for a table tennis rubber for the gaming system controlled offensive, you will be very happy with the Xiom Vega Europe. However, Xiom Vega rubbers also cover other (offensive) gaming styles. Starting from the Elite rubber, which is the slowest and most controllable, to the Asia (extremely hard sponge for the uncompromising offensive). 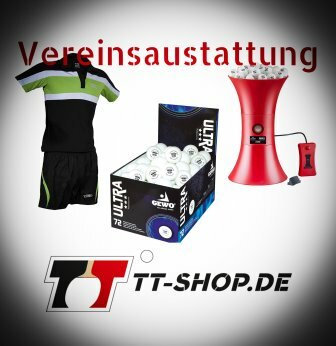 TT-SHOP.COM particularly recommends the Xiom Vega Pro which is our bestseller, and which has a very broad area of application. Xiom Vega Europe: This rubber is intended for controlled attackers who rely on a good feedback of the ball, and sufficient dynamics in order to always be able to take the initiative following safe topspins / blocks.